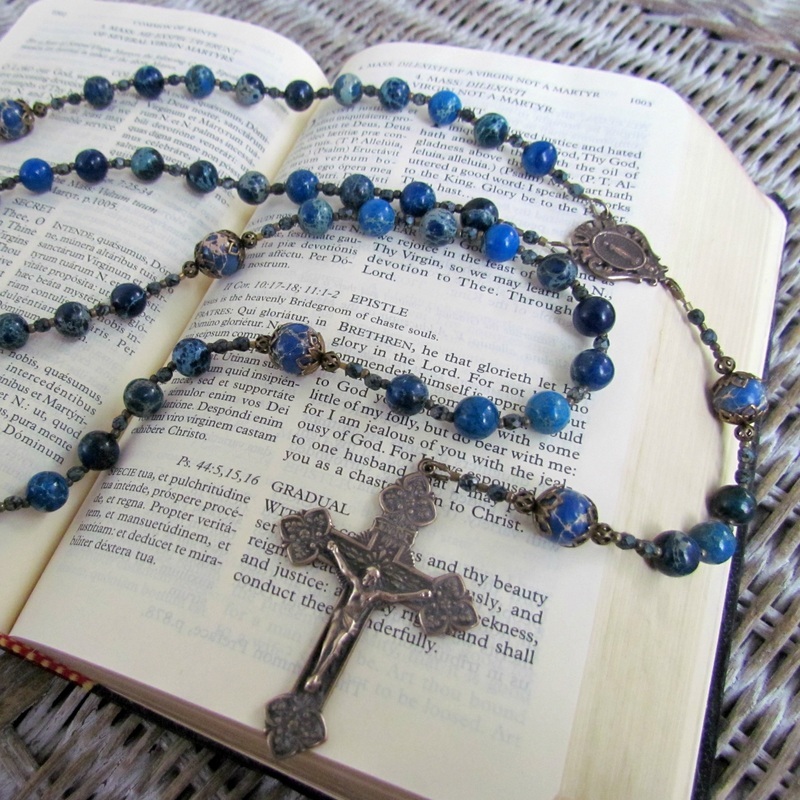 The beautiful blue rosary is made with Gorgeous Sediment Jasper gemstones. The designs in the beads are so lovely. The color of blue is a perfect compliment to the bronze medals. lThe rosary beads are hand strung on super strong jewelers wire. The wire has 49 strands of stainless steel bundled together and nylon coated. It is double crimped for added strength. This rosary has a beautiful drape and feel and does not get tangled in your pocket.